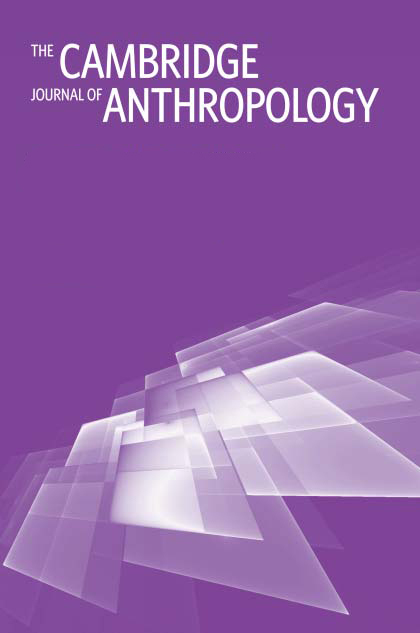 We are delighted to announce that 2015 marks the fourth volume year that the Cambridge Journal of Anthropology has been published through Berghahn. The original journal of this name was an in-house publication based at Cambridge University, with a remit to provide a space in which innovative material and ideas could be tested. The new Cambridge Journal of Anthropology builds on that tradition and seeks to produce new analytical tool-kits for anthropology or to take all such intellectual exploration to task. Re-acquaint yourself with the journal by exploring the special sections outlined below. We hope you’ll be inspired by these innovative approaches that push at the boundaries of anthropology to bring you fresh insights from pioneering scholars in the field. Asia’s ongoing economic transformation has created a variety of unexpected ruptures, discontinuities and opportunities in the lives of local citizens across the region. The articles in this section contribute to an understanding of local responses to, and strategies for coping with, risk and uncertainty as multidimensional, interwoven aspects of daily life, guided by social, economic and moral considerations. The articles in this collection bring together epidemiology and social anthropology. They take us through epidemics critically distinguished as crises and as events, and through epidemics understood analytically as syndemics and as productive of both proliferating ‘projects’ and a compelling quest for ever-growing intelligence and ‘real-time’ surveillance. In this collection, we see the importance of a social anthropological understanding of the human subjects that epidemics, and responses to them, can constitute–and we glimpse some of the interagentivity in the treatment responses through which the lethal problem of ‘resistance’ can be created. In the case of ‘epidemics’ in this present issue, we see the import of anthropological material as it brings to the fore issues which, in another disciplinary language, are the historically contingent ‘externalities’ of ‘disease events’. The papers in this special section explore different visions of the environment and how they engender particular ways of seeing evidence of climatic and environmental change. A key aspect of such distinctive understandings seems to be the attribution of agency within conceptions of the environment that in each case are entangled with humans. Notions of the anthropogenic and non-equilibrial environments are explored in several of the papers collected here, along with ongoing debates surrounding the concept of the Anthopocene. An awareness of climate change has brought new urgency to the project of grasping our entangled environments in the diversity of their human understandings. Thisspecial section reconsiders recent anthropological accounts of ‘Naturalism’, a term increasingly used as a shorthand for a bundle of purportedly western attitudes to nature, reality and mind/body distinctions. Anthropologists and others tend to invoke ‘Naturalism’ as a foil for descriptions of alternative ontologies elsewhere (such as animism or perspectivism), or alternatively, as a philosophical account of the world which is belied by Euroamericans’ own practices. By contrast, the papers in this section attempt to take naturalism seriously as an ethnographic object in its own right: who, if anyone, is a ‘naturalist’ and what do naturalist commitments look like and entail in practice? For a free sample issue of the journal, click here.